Chinese society sets a high premium on education, but a traditional emphasis on examinations acts both as an incentive to learn and a barrier to independent learning. Shanghai, one of China’s most vibrant economies, has long been a leader in educational reform, introducing innovations that are closely watched in the rest of China. In the 1980s, Shanghai was one of the first Chinese cities to achieve universal primary and junior secondary education. It was also among the first to achieve almost universal senior secondary education. Shanghai has a strong economic interest in providing good education for the children of migrant workers from other parts of China, often with different linguistic backgrounds. In 2006, migrant children accounted for an estimated 21.4% of Shanghai’s student population at the basic education level. An estimated four Shanghai children out of five attend after-school tutorial groups to help them prepare for exams. Parents see such tutorial schools as essential for enabling students to do well in the public examinations that determine the next stage in their educational career. Shanghai’s strong political commitment to raising educational standards has succeeded in raising student performance across the board. The share of disadvantaged students who excel at school despite their background is twice as high as in the United States. Shanghai’s 15-year-old secondary school students achieved by far the best results in the 2009 PISA tests, scoring 556 in reading, 600 in mathematics and 575 in science. By comparison, the best-performing OECD country, Korea, scored 539 in reading, 546 in mathematics and 538 in science. In 2009, 97% of Shanghai children in the relevant age group attended senior secondary school or an equivalent vocational school. At pre-school age, 98% of children were enrolled, exceeding a national pre-school education goal for 2020. More than 80% of Shanghai's higher education cohorts are admitted to some form of higher education, compared to a national figure of 24%. There were 61 higher education institutions in Shanghai in 2009, plus a number of private institutions yet to be officially recognized. 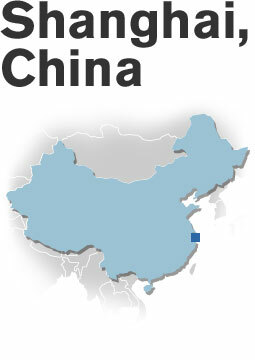 Shanghai is China’s largest city and its principal business center, with a population of 20.7 million. It is also an education hub and a magnet for migrants from other parts of China seeking to participate in its booming economy. In a culture which traditionally sets high value on education, Shanghai stands out for its commitment to raising education standards for all and for the high quality results that its students achieve. In the 2009 PISA tests, Shanghai ranked firmly at the top. This remarkable performance gives the lie to prejudices about Asian education systems supposedly based on rote learning and leaving little initiative for students to think on their own. Shanghai’s breathtaking economic expansion requires a constant flow of new talent, and the city’s school leadership is committed to educating its youth to think creatively and apply knowledge to solve new problems. Typically in a Shanghai classroom, students are fully occupied and fully engaged. Non-attentive students are not tolerated. Homework is an essential part of students’ learning activities. Parents expect students to do homework every evening and are prepared to devote their family lives to their children’s studies. Students are also obliged to take part in all kinds of other activities, including at least one hour per day of physical education. Shanghai’s experiments with educational reform began as long ago as 1980, when it and other cities with large non-state enterprise sectors started pioneering new types of vocational schools that did not guarantee or assign jobs. This innovation marked a significant step away from the strict manpower planning that had been an integral part of China’s planned economy. A decade later, Shanghai launched the first of two waves of curriculum reform, aimed at reducing the exam-oriented approach of schools in order to build quality education. Since then, Shanghai has been a crucible for educational experimentation with a view to broadening students’ learning experiences and developing “capability” rather than accumulation of information and knowledge. In 1994, Shanghai was the first jurisdiction in China to introduce neighborhood attendance at primary and junior secondary levels, thereby confronting teachers with the obligation to handle children of diverse backgrounds and different abilities. By eliminating public examinations at the end of primary schooling, Shanghai released primary teaching from the exam pressure that is still a pervasive feature in much of Chinese education and allowed innovation and creativity to flourish. In parallel, Shanghai raised the bar for entry to the teaching profession. All primary school teachers must have a diploma and all teachers in secondary schools are degree-holders with professional certification. Many teachers have Master’s degrees. Shanghai was the first district in China to require continuous professional development for teachers. Every teacher is expected to engage in 240 hours of professional development within five years. In another major undertaking, Shanghai set out in the late 1990s and early 2000s to upgrade school buildings and facilities according to a “standard" program. In parallel, a system of financial transfer payments mobilized public funding for schools in outlying areas that were less well equipped than schools in the city’s central districts. Exchanges of teachers were organized in order to raise the standard of staffing in disadvantaged schools. One of the most ambitious strategies has been to draw on the strengths of the best performing schools by getting them to take responsibility for leading improvements at weaker schools. This is done in various ways; for example, by “pairing” a strong school with a weaker school or by creating a consortium in which a number of schools in a specific area are grouped in a cluster with a strong school at the core. Yet a third way involves an arrangement known as “empowered administration,” in which a strong school takes over the leadership of one or more weaker schools and sends a team of experienced teachers and administrators to improve management and teaching.